Following extensive community engagement during 2015 and 2016, Falmouth Town Council (FTC) is preparing to share the first draft of its Neighbourhood Plan in a second phase of consultation. The drafting process has already involved local residents completing a questionnaire and participating in working groups with stakeholder organisations to gather evidence, carry out research and recommend the themes that need to be addressed in the Neighbourhood Plan. This first draft will now be considered by FTC’s Planning Committee, after which local people will be invited to review it to ensure that it accurately reflects their needs and concerns. Incorporating any amendments, the Plan will then be formally endorsed by FTC, submitted to Cornwall Council and an independent assessor for further scrutiny, and become the subject of further public consultation and a referendum next year. If local people vote in favour, the Neighbourhood Plan will be ‘made’ in law, form an integral part of the planning process and be considered alongside all applications that are decided by Cornwall Council, planning inspectors, or the Government. It is hoped that the Neighbourhood Plan will be fully ‘made’ by June 2017. The objectives set out in this first draft include enhancing the town and its special qualities up to 2030 and beyond; balancing the competing needs for growth and development with conservation and improvement; and promoting development that is socially, economically and environmentally sustainable. It highlights policies to create a balanced community; accommodate growth, housing need and university expansion in a sensible manner; manage any increase in the student population to minimise problems; promote the marine, creative and digital industries; regenerate the town centre; protect valued green space; promote leisure, recreation and culture; ensure adequate provision of infrastructure; and strike the optimum balance between growth and protecting the aspects of the town that make Falmouth so special. The Plan also outlines the need for further physical realm improvements both in the main streets and specific areas of the town.“The aim for Church Street car park would be to transform it into a desirable destination with restaurants, cafes, marine activities and public space so that residents and visitors could take full advantage of some of the best views in Falmouth,” explains Professor Mike Jenks from Falmouth Civic Society who leads the Neighbourhood Plan’s Spatial Strategy, Integration & Design Guidance working group. “We are suggesting limiting the amount of parking spaces in Church Street but increasing capacity at the Quarry and former Territorial Army site on Bar Road, pedestrianising the main streets for part of the day and supporting the town’s shuttle bus, all of which would be essential to the successful realisation of this vision.” In addition, the Plan recommends developing the Quarry car park and former Territorial Army site to include housing for local people and/or students; proposes a green corridor between Tregoniggie Woodland and Swanpool; and emphasises the benefits of environmental improvements at Pendennis Point and to the seafront that would arise if a supporting application for grant aid from the national Coastal Communities Fund was successful. 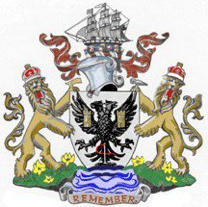 It also recognises the role of Falmouth (and Penryn) as a key economic driver for Cornwall; supports the dredging of Falmouth Harbour; the generation of new enterprise in the maritime, advanced engineering and energy sectors; and the provision of small workshops and an innovation/home business support centre. In relation to tourism, it proposes the revival of Prince of Wales Pier and the enhancement of The Moor; a new skate park at Dracaena Fields and measures to enhance Falmouth’s festival culture by attracting major international events to the town. On the subject of student accommodation, the Plan offers further policies to complement the recently-approved Article 4 Direction that prevents further conversions of dwellings into Houses in Multiple Occupation (HMOs) in certain areas and ensures that any sites identified for purpose-built accommodation conform to clear rules on issues such as parking, on-site management and contributions to off-site policing. This second phase of consultation will take place for a minimum of six weeks between early December and mid-January. A leaflet summarising the key points of the proposed Neighbourhood Plan will be distributed to local residents, who will also be invited to attend two drop-in sessions to find out more. Residents will be able to view the Plan on a dedicated Neighbourhood Plan website or in Falmouth Library, where hard copies of the Plan and summary leaflet will also be available to view. The Neighbourhood Plan Steering Group is also offering to present the Plan to local organisations upon request. Further details will be announced in the local print and broadcast media, and via FTC’s Twitter and Facebook feeds.